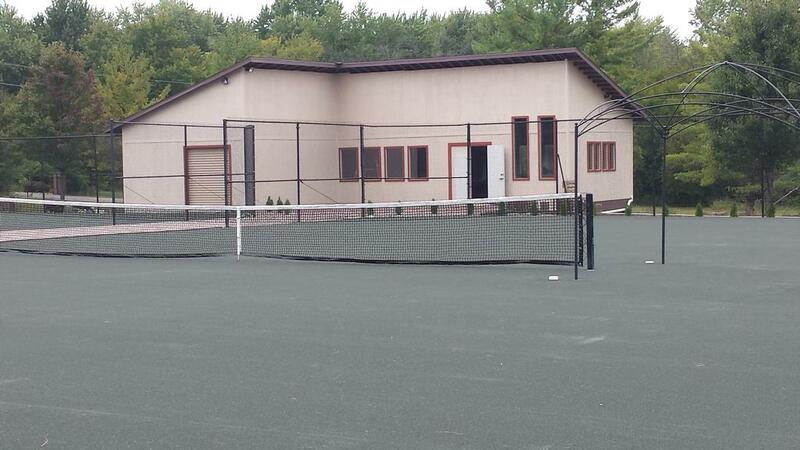 The Beavercreek Clay Courts Tennis Club (BCCTC) is a new facility which have five *Har-Tru tennis courts and three hard surface Pickle-ball courts. The club will open May 1st and close September 30th. The BCCTC is located at 2373 LaCresta Dr, Beavercreek OH 45431 and is next door to the Greene Valley Recreation Club (GVRC). BCCTC court lay-out provides cabanas between courts (both Tennis and Pickle-ball), water and plenty of space for watching matches. The BCCTC clubhouse provides indoor seating for social gatherings. BCCTC will have on-line reservation capabilities for reserving courts, lessons, leagues, clinics and social events. Swim Club members have access to Tennis and Pickle Ball courts. Full Tennis Memberships are available to all Swim Club Stock Holder Members at 40% of the Tennis Club rates. *Har-Tru Green Clay is the world's leading clay court surface. HAR-TRU is made from billion-year-old Pre-Cambrian metabasalt found in the Blue Ridge Mountains of Virginia. It is a natural green stone that is extremely hard and angular — two very important qualities when it comes to tennis court construction.